Johnson & Johnson (J&J) is reportedly considering a $3 billion dollar settlement of pending DePuy ASR (Articular Surface Replacement) hip implant cases, which could result in an average settlement of $300,000 per case. After the recall in 2010, DePuy ASR hip replacement lawsuits began to grow exponentially. Following their first trial in March ending with a verdict of $8.3 million, Johnson & Johnson announced their plan to appeal. Now, it is rumored that they are considering a global settlement that would resolve up to 11,500 U.S. lawsuits. The lawsuits allege that the ASR’s defective design caused friction between the metal-on-metal and cup components that shed metallic debris. The body fights back against these metals causing a reaction called metallosis that compromises the immune system. Inflammatory reactions to the metal can cause groin pain, fatigue, death of tissue in the hip joint, loss of surrounding bone and muscle, and there has even been speculation that it may cause heart and kidney problems as well. The first federal bellwether trial is scheduled to begin next week, on September 9th. It is anticipated that evidence may include testimony presented in the March trial that DePuy sold ASR devices despite being aware as early as 2008 that the implants release high levels of metallic ions, especially in women. With seven more trials scheduled between now and January, it is expected that evidence will also include testimony that J&J considered redesigning the ASR to reduce risks, but ultimately did not feel that the costs were justified. The outcome of these trials are expected to have great impact on other pending cases, and could be very damaging for J&J, as juries could potentially return seven-figure awards. If you have not filed a case and have any interest in participating in an eventual settlement, you should act now. Typically, once a settlement has been reached in cases such as this, the settlement will only apply to individuals who have already filed a case. 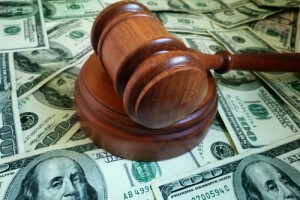 Individuals who wait until after a settlement has been reached will not be included in the settlement. Even more critical, the DePuy ASR was recalled on August 23, 2010 and most people received their recall notice between August and December 2010. With most states having statutes of limitations of two or three years, DePuy could take the position that anyone who files a case after the settlement should receive nothing. If you believe you may have a potential DePuy hip implant lawsuit, our lawyers are still investigating these claims. Call 800-553-8082 or get a free online consultation.